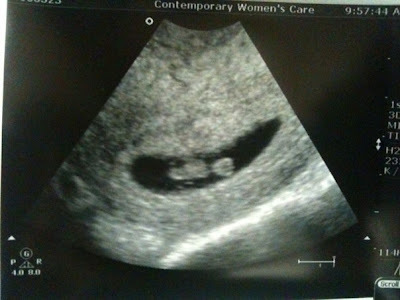 This little "pea" is our next grandchild, at 7 weeks and 3 days, due Nov. 2, 2010. Now, thats amazing!!! And, this darling's parents are Mike and Mary Brumm. Colleen, 11, is thrilled and will make a wonderful babysitter! Do you think he looks like me or Bill? 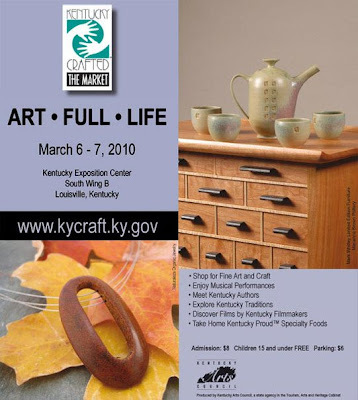 Come and visit us at the KY CRAFTED: THE MARKET, this weekend, March 6 & 7, 9-6pm! 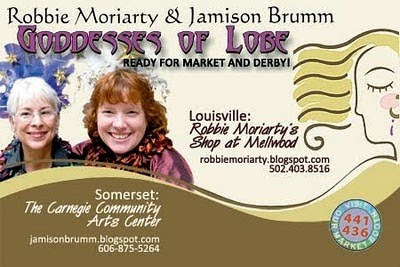 Robbie and I have an article in Arts Across Kentucky Magazine which will be featured there, and both of us will have our new work at the Expo Center where the Market is held.